Paul Democritou - Grow Your Business, Raise Your sales. Succeed in Life. How to Succeed in Life & Business. The Only Book That Includes Action Plans For You To Succeed in Business or as an Entrepreneur. What I Can Do For You And Your Business. With over 25 years in sales / marketing and video production expertise, working with some of the most successful people and businesses around the world. Paul can help you grow as a business or as an entrepreneur. Check out Paul’s YouTube Channel and see what he can do for you today. What Do You Need to Succeed in Business Today? Paul has worked with some of the most successful companies and entrepreneurs worldwide. Whether you need help in marketing, sales or video production. Hire Paul to expedite your growth to extraordinary heights, and take your business to new levels today. Do You Know What it Takes To Succeed in Block-Chain? Paul has worked and talked with some of the most brilliant minds in the crypto industry and can help you take your ICO, project, or block-chain company to the next level as consultant, advisor, or virtual CMO. Contact Paul today to discuss your needs. All topics are tailored to fit your needs, your staff needs and your audience needs. 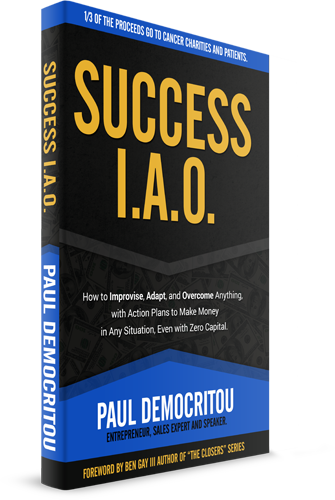 Watch as Paul transforms your sales team into a master closers force to be reckoned with and watch your sales grow to extraordinary heights! Success begins and ends in the mind. Listen as Paul illustrates the tricks of the trade that produce confidence and energy. Guarantee your blockchain project or ICO success. Paul is an active advisor to some of the most successful blockchain companies worldwide. 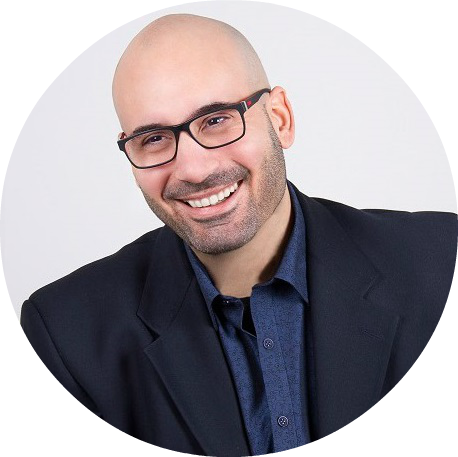 Paul Democritou is an entrepreneur, sales and marketing expert, author, and a blockchain / startup advisor. He is also known as an entertainer and director and was responsible as a video producer for over 15 VMA’s nd 2 EMA nominations. As a successful sales and marketing expert in the timeshare industry which later expanded to other fields and companies, Paul provides online and offline training to companies and individuals worldwide. In 2016, Paul was diagnosed with Non-Hodgkin’s Lymphoma – cancer. He wrote the book SUCCESS! that was born as a result of vision and passion to help others succeed even in harsh conditions, as well as The Closers Part 3 with living legend Ben Gay III. He is currently advising ICO’s in the block-chain industry, and released The Crypto Factor which interviews leaders in the Block-chain space, while working on other new books and projects.